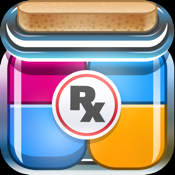 Flu Fighter is a fun, classic-styled puzzle game that’s perfect for quick games to pass the time, or long challenges to improve your skill. Here’s the deal: You’re a big-shot doctor, and you’re pretty darn good at it. A patient comes in and complains of a headache, chills, fever, and coughing. After a closer look, you know what it is. THE FLU! Time to jump into action and administer the antivirus. Use your antivirus capsules to eradicate the influenza viruses. Match FOUR or more colors either horizontally or vertically to delete them. Each level is complete when all of the viruses have been defeated. You can score more points with combinations, by deleting several sets of colors in one move. Use the swipe controls to control your descending capsule. Swipe left or right to move the capsule, tap either side of the screen to rotate it, drag down to quicken the fall, or swipe up to slam it down. You can also track your high scores locally on your phone, against your Game Center or Facebook friends to see how you hold up against the rest of the world. Well, what are you waiting for? Go get ‘em, Flu Fighter.